President Joyce Banda dissolved her Cabinet yesterday, 10 October amid calls for her to fire some ministers in her cabinet after what is called “Capital Hill cash-gate scandal”. In a statement issued by Steven Nhlane who is the presidential press secretary, following the dissolution of the cabinet, all ministerial matters will revert to the Presidency through controlling officers. The Capital Hill cash-gate scandal has so far seen six people arrested who were found in possession of millions of kwacha of public funds without supporting documents. 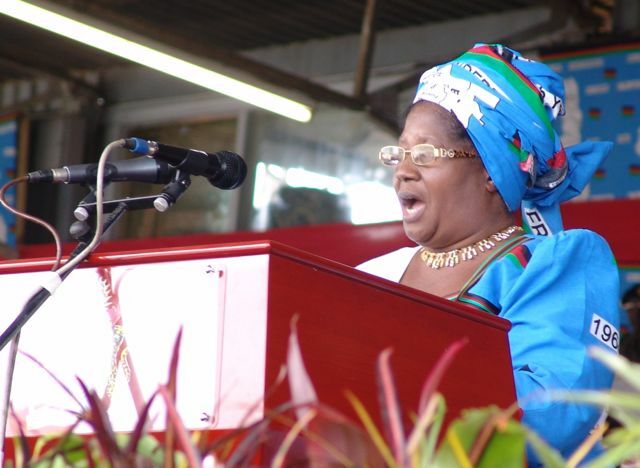 This entry was posted in News from Malawi and tagged cabinet, cash-gate scandal, Joyce Banda, Malawi. Bookmark the permalink.